Hilton Terminal 5, is an extermelt comfortable hotel, located 1 mile from Heathrow Terminal 5. The location offers convenient access to the M25, from which all the other major motorways and A roads can be accessed. 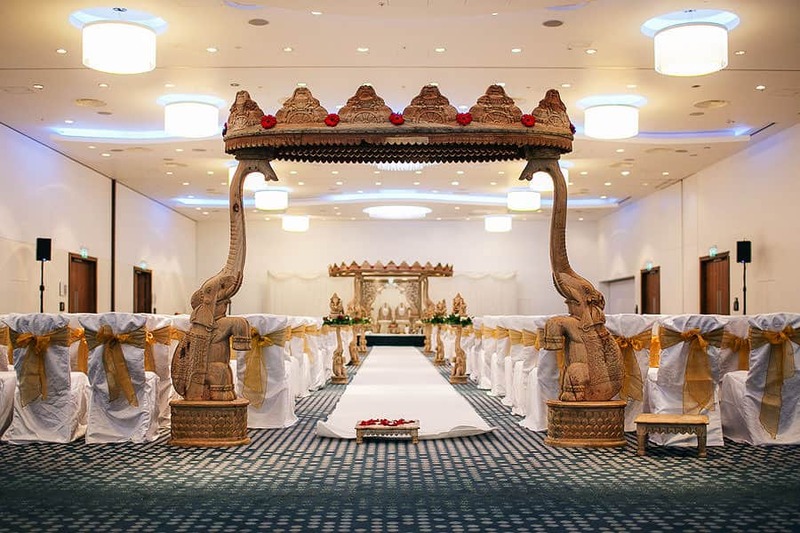 The Hilton T5, has a very large modern ballroom, which can accommodate 1170 guests with theatre style seating, or 800 guests for an evening reception styled seating. The room can be divided into 6 sections, and is located on the mezzanine level of the hotel, with a view of the outside, through soundproof windows. The ballroom has its own dedicated entrance and reception area, with lift access. Hilton T5, is a luxurious venue, with state of the art mood lighting, which can create a beautiful ambience for your wedding and reception. Photographing weddings here is a real pleasure, the main ballroom has glorious lighting and just outside on the mezzanine, plenty of areas to shoot contemporary portraits. If you are considering a wedding at the Hilton Terminal 5, then please do not hesitate to contact me to discuss your wedding photography requirements.